I am a product designer in Cyclehoop and helped developing this product, I hope it can make your lifes happier! 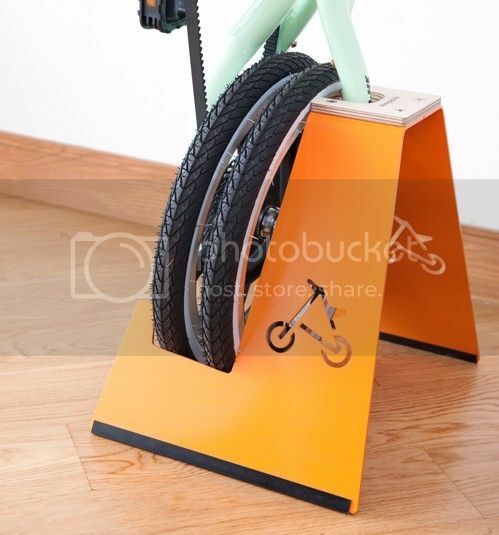 "Designed specifically for the unique folding STRiDA bike, this compact free standing product is a great home storage solution allowing owners to both display and store their bikes. It is made from 4mm thick steel and fitted with 9mm birch plywood to protect the bike frame. Flat packed and easy to assemble, the stand holds the STRiDA stable in its vertical folded state with touch points at both the wheel and the frame and does not take more space than the bike when in use. Multiple units can be stacked to minimise the footprint. The silhouette of the stand echoes the iconic angular shape of the bike remaining true to the minimal footprint of the design." "This is a really elegant design. I love its functional simplicity, and its clean design. 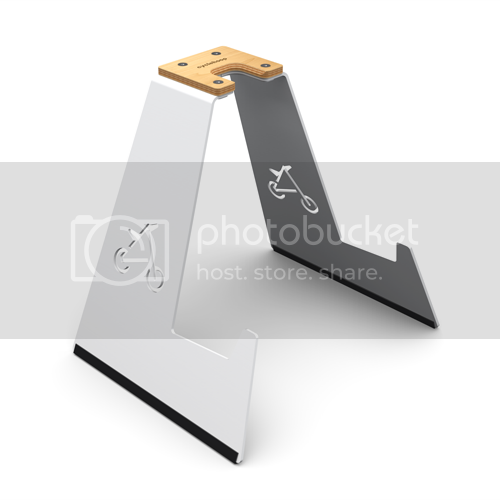 The Cyclehoop stand allows STRiDA owners to display and store their bike so well they will want to keep it on view"
At moment you can buy it through Cyclehoop's website (UK) or through GUM in Hong Kong. If you want to avoid a shipping charge, please share your interest with your local Strida distributors. We have limited stock at the moment, so hurry if you don't want to miss the first batch!